San Francisco has its trolley cars, Venice has its gondolas and Vancouver has flying Beavers and Otters - also known as Floatplanes! Their short wingspans, snappy engines and pontoons make these planes perfect for landing in small places, which usually means finding hidden gems. A quick hop and a jump and you’re whisked away from metropolitan Vancouver to the magical Gulf Islands or in no time at all exploring the majestic fjords of Princess Louisa Inlet. We can’t think of a better way to experience the beauty of Canada’s West Coast than on an island-hopping float plane tour. It’s wings up and wide open skies from takeoff to touchdown. The skies are literally the limit and the views will leave you speechless. Ask us about the best times and routes to fly. Massive glaciers, mountain ranges, forested valleys, rivers and emerald lakes in all their glory. Have your camera ready for stunning vistas as you discover B.C's breathtaking landscapes from inside a float plane. 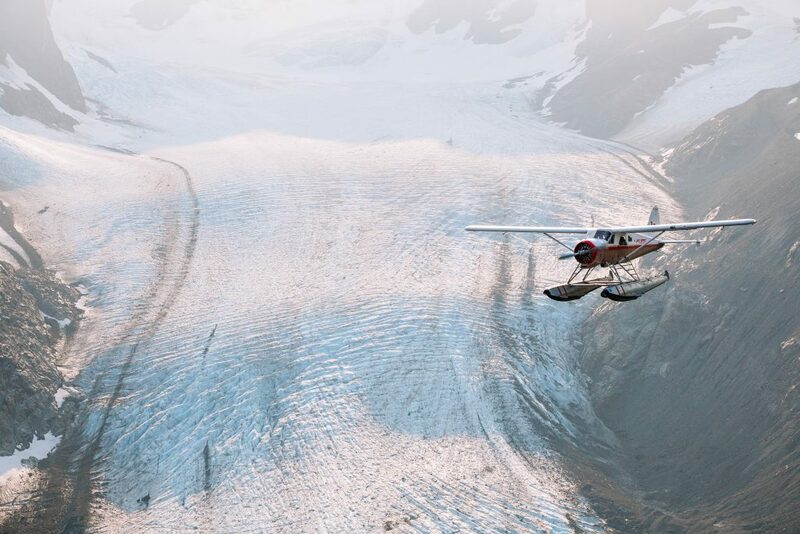 Imagine yourself soaring into the skies high above the rugged Arctic landscape. This is a land best seen from the air. Along with the dogsled, the floatplane is the quintessential mode of transport in Canada’s Arctic. Make your aerial dreams take off with a customized airborne itinerary from our Canadian travel experts. Fly north and see polar bears, musk oxen, caribou and other iconic Arctic wildlife in their natural habitat. We’ll take you to the most remote parts of the Canadian north to enjoy spectacular aerial views on this adventurous alternative to a self-drive holiday.